Cauliflower Pizza – What's for Dinner Moms? I see cauliflower pizza crust recipes all over the place. I have been fairly curious about them, I am always up to try something new. But, I hate the thought of making something and wasting all the ingredients. We were at the grocery store and I saw these crusts on sale and thought I would give them a try. NOTE: These are all my own thoughts and opinions. I have not received the product or any compensation from the company for my review. Verdict: My children were very skeptical when I told them what we were having for lunch. My son was glad it was gluten-free. He has been trying to stay gluten-free as much as possible but vacations are hard. We decided to make a simple cheese pizza with the crust thinking that this would allow us to best determine how the crust tasted and the texture of the crust. The pizza crust was thin. We all agreed it was best hot from the oven. Once it cooled it wasn’t as tasty as it was hot. 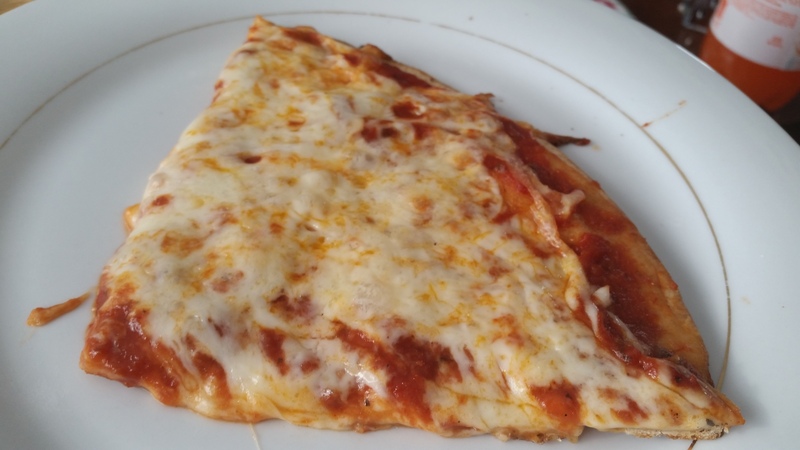 We all agreed that next time we would have the cheese pizza hot from the oven and if we wanted a second slice to make a loaded pizza as our second pizza as we thought that would help the flavor after the pizza rested for a bit. The texture wasn’t as crispy as we thought it would be. Being a thin pizza the kids and I thought it would be super crisp but it was more the texture of a thicker crust. It had give to it and did not crumble as we thought it would. It was more spongy than we thought it would be. Would we buy this again? At $5.59 for two crusts I would definitely buy this again. But, we know now to eat it when it is good and hot and to add extra toppings for flavor if it is going to cool at all. I’m having a food demo at my house this month for the ladies from my exercise group and we’re making pizza. I think I’m going to make the cauliflower crust. I think I’d only like it if its crispy and maybe putting it in the air fryer would make it crispy.? Ooo, let me know if it works. I think my son would like it more if it was a bit crisper. When I looked the other day it was almost $3.50 a head. Eek. Broccoli too.Also because it is January and people are eating healthier so all veggies and fruit here are a bit more expensive. I have made cauliflower rice. 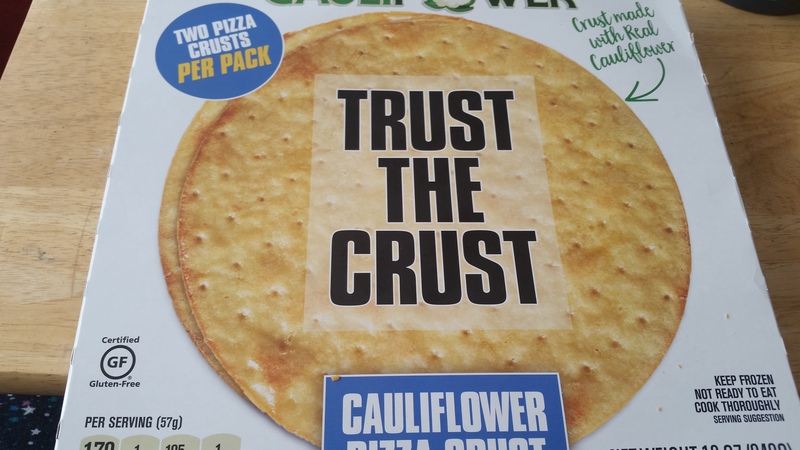 Do the crusts freeze well? I am thinking of making a few and freezing for those quick evening dinners but didn’t know if they may turn soggy when thawed. You are welcome! Hoping to actually try making one in a few weeks. An interesting review, Marci. I am not a fan of cauliflower so have avoided trying the mash or pizza base but maybe I will give it a go. It didn’t really have a flavor (until it was cooled) but was a bit of a texture issue with me. It was more spongy than I had wanted. I like crisp. I would like to thank you for your like and support. Much appreciated. Keep up the good work! I really want to try making a crust from scratch. I hope it will be a bit crisper than thus was. Hope you like it.